Is domain name age important to Google? 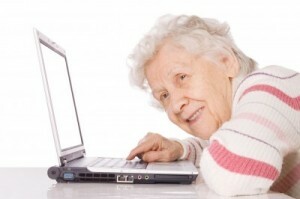 Is age an advantage for ranking your website domain name on Google? There is a long-running debate about the advantages of using older domain names compared to newer ones. An older domain name for a website should have the advantage of a greater online profile, user loyalty, higher page rank and web content developed over many years. With all these things going for them, how can a new website with a new domain name possibly compete with something that has been around for 10 years? Old domain names are becoming available all the time, so maybe you should rush out there and buy an aged domain name to boost your website ranking, right? If the domain name has been attached to a “retired” website, you can inherit lots of links and maybe even a Google Page Rank much higher than you could easily get with a new website. This can work, but there are potential traps for the unwary. The video below is a statement from Google Engineer, Matt Cutts about the importance of domain name age for site ranking. What really stood out to me was that at no time in the video did he say that domain name age is not a factor. He does state repeatedly that WHOIS data (information about domain name ownership) is not generally available or consistent and moves on to discuss when Google first saw a link to the domain name. This is an important point. A domain registered in 1996 has not necessarily been attached to a website from that time. I’d even suggest that most registered domain names are not attached to websites at all. There are an awful lot of domains that are never connected to a website. A domain name that has been used for a website for a long and unbroken period of time would be more valuable than one that was registered earlier but left unused until last year. However, this is one of the traps I mentioned. What has the old domain you just bought been attached to? Do you know its history? It could once have been attached to a reputable website. Or it could have been used by online scammers, flagged by the FBI and banned by Google. Or even both! There’s no fail-safe way to know how “The Net” sees a domain name. You can do searches to check for existing links and it’s worth looking at Wayback Machine to see what any websites related to the domain name contained but unless you personally know what the domain was used for, it’s somewhat of a risk. Remember, we see new websites with domains registered only recently, ranking highly all the time. They get there through great web design, copywriting, services, products, SEO and internet marketing. A new domain name is a clean slate… maybe. Whenever registering a new domain, it’s still a good idea to check into any history the domain may have. It could have expired from one of those dodgy online scammers!